When doing any serious research on Winslow, one term that keeps coming up again and again is that of “experimental” or “experiential” Calvinism, of which he was a proponent and evangelist of. The below article was written by Rev. Ian Hamilton regarding the definition and parameters of this “experimental calvinism”. The original source of this article may be found here. “He who knows that it is God who has chosen him and not he who has chosen God, and that he owes his entire salvation in all its processes and in every one of its stages to this choice of God, would be an ingrate indeed if he gave not the glory of his salvation solely to the inexplicable elective love of God” (5.360). A) It brought to Isaiah first a deep felt awareness of his sinfulness – “woe to me… I am ruined…”!! When Isaiah ‘saw’ God as he is, he was not left standing – he was not left proud and dispassionate – he was deeply humbled! There is little doubt that Isaiah already was a believing servant – but a stranger to the pulse-quickened sense of God’s ineffable greatness – Isaiah was seeing himself as God saw him – this is experimental Calvinism . B) It brought Isaiah a new sense of Israel’s corruption (v5) – his encounters with “the King” caused him to see through the façade of Israel’s religion cf 1:10ff. – onlookers would have complimented Israel on the ‘healthy state’ of its religion – but when a man has had a sight of the majesty of God, he sees not only his own sinfulness, but the sinful state of his own generation – of his own . To the forgiven sinner, ‘forgiveness’ is a humbling, overpowering, captivating word. Nowhere is this more highlighted in our Lord’s encounter with the “sinful woman” in Luke 7:47. The extravagance of her devotion to the Lord acutely embarrassed Simon the Pharisee, Jesus’ host. Jesus’ response is one that ought to humble all of us: “He who is forgiven little, loves little”. The depth of our love to the Saviour is in proportion to the depth of our experience of and appreciation of his forgiving grace. It cannot be said too often that the primary pulse-beat of the gospel is the love of God. It was God’s love that caused him to send his only begotten Son to be the propitiation for our sins. It is God’s love that caused the apostle John to exclaim, “Behold what manner of love is this, that we should be called the children of God”. John’s language is filled with unspeakable wonder. He can hardly take in the grace that is revealed in the Father’s love – “From what country is this love of the Father?” His love is literally out of this world. There is nothing clinical or cold in John’s language; rather, it is the language of overwhelmed wonder. The sheer wonder of God’s amazing grace, his undeserved, indeed ill-deserved love to judgement-deserving sinners, is not a peripheral note in Calvinism. How could it be, when God’s love gave birth to the incarnation, life, death and resurrection of our Lord Jesus Christ? Is it not true, however, that many of us who call ourselves “Reformed” have lost the “sense” of the sheer wonder of this amazing love? Before sovereign grace is a truth to defend, it is a captivating truth to glory in. D) It brought Isaiah to yield his life unreservedly to God! “Here am I…” – no cajoling, no pleading – the response of a man to whom inexplicable, sovereign grace has come. Grace costs us nothing, but it demands everything (Matthew 8:18-22; 10:37-39). Here is the reflex action of a man who has ‘seen’ the Lord and felt the power of his presence and grace. This is experimental Calvinism! The story of William Borden of Yale wonderfully illustrates the point. 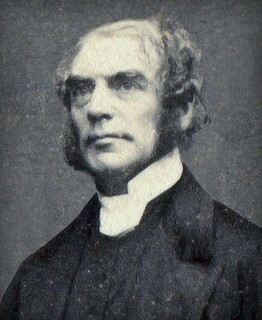 Borden had long prepared to serve as a missionary in the Far East. He had been an outstanding student with a passion for mission. After some years travelling throughout America calling young men “to go east and preach the gospel of Christ”, he at last set sail himself for Burma. On reaching Alexandria, he was struck down with cerebral encephalitis. He would never see Burma. He would die in Alexandria. As he lay dying he overheard someone saying, “What a waste”. With the little energy he had, Borden replied, “No reserve! No retreat! No regrets!” This is the life of the experimental Calvinist. It is a life of unconditional surrender to the saving lordship of Jesus Christ. So, what then are the evident marks of experimental Calvinism? Calvinism is not a theological theory, a religious philosophy that compels the mind but leaves the shape of your life untouched and unmoved. Biblical truth reforms and re-styles the believer’s life. So with Calvinism, it leaves its indelible marks wherever it takes root in a person’s life. What are those marks? A) The Experiential Calvinist honours God’s unconditional sovereignty. How? By consistent prayer. Nothing more honours God’s unconditional sovereignty. Here is Warfield’s description of Calvinism: “Christianity on its knees” cf Acts 4:24ff. ; Acts 2:42. The demise of the church prayer meeting is deeply indicative of spiritual atrophy. “You can do more than pray after you have prayed, but you cannot do more than pray until you have prayed.” (John Bunyan). “When God deigns to bless his people, he sets them a-praying for the blessing which he desires to give them” (Matthew Henry). B) The Experimental Calvinist lives before God’s face – this alone cultivates heart-humility and acknowledges our indebtedness to God’s unconditional sovereignty, cf 1 Corinthians 4:7. What is pride? The attempt to share in the glory that belongs to the King on the throne. The ‘sight’ of our own heart as it appears to God dismantles all our proud conceits. C) The Experimental Calvinist shapes all of life by the revelation of God’s unimpeachable holiness – “Be holy, for I am holy!” cf Ephesians 1:4; Romans 8:29; Titus 2:14. D) The Experimental Calvinist exercises trustful dependence on God to fulfil all He has purposed. It is so easy to take the “lower ground,” to resort to unbiblical expediencies in God’s work. This can be seen in ‘worship’ and ‘evangelism’, sometimes more influenced by the principles of a fallen culture than by the precepts of God’s living Word. Amidst the struggles with “world, flesh and devil,” with a Christian evangelical culture that is drowning itself in shallowness and trivia, the experimental Calvinist draws the sweetest comfort and encouragement from knowing that the unconditional sovereign Lord is fulfilling perfectly – if mysteriously – his perfect, holy, eternal purposes. There must inevitably be a “reserved agnosticism”, cf Romans 11:33ff. Here we encounter experimental Calvinism – the doctrines of grace lead him to adoring wonder and worship. Theology’s first resting place is doxology! E) The Experimental Calvinist loves God’s Law – all-round obedience! Experimental Calvinism seeks to give God’s holy Law the place in the believer’s and church’s life that God’s holy Word gives it. Commenting on the phrase in Galatians 4:5, “to redeem those under law,” Calvin says, “We must here observe, the exemption from the law which Christ has procured for us does not imply that we no longer owe any obedience to the doctrine of the law, and may do whatever we please: for the law is the everlasting rule of a good and holy life.” Again, commenting on Galatians 3:25, “Now that faith has come we are no longer under the supervision of the law,” Calvin writes: “Is the law so abolished that we have nothing to do with it? I answer, the law, so far as it is a rule of life, a bridle to keep us in the fear of the Lord, a spur to correct the sluggishness of our flesh… is as much in force as ever, and remains untouched.” Calvin is simply echoing the teaching of Christ: John 14:15 cf 1 John 2:3-6. More than ever, we need today to affirm and reaffirm the abiding relation of God’s holy law to God’s holy people. Faced today with incipient antinomianism, the duties and responsibilities of the moral law are seen by many to have no place in the believer’s life. “If the law might be disannulled as to new creatures, then why doth the Spirit of God write it with such legible characters in their hearts? … Now that which the Spirit engraves upon the heart, would Christ come to deface and abolish?” (Thomas Manton on Psalm 119, 1.5). “All who are united to Christ, and justified for his righteousness imputed to them, are dead to the law as a covenant; not that they may be without law to God, but that they may be under the law to Christ; not that they may continue in disobedience, but that they may be inclined and enabled to perform sincere obedience in time, and perfect obedience through eternity, to the law as a rule of life. One design of their being delivered from the obligations of the law in its Federal form is that they may be brought under the eternal obligation of it as a rule of duty in the hand of the adorable Mediator” (p. 260). “It is the contemplation of God and zeal for his honour which in it draws out the emotions and absorbs endeavour; and the end of human as of all other existence, of salvation as of all other attainments, is to it the glory of the Lord of all… It begins, it centers, it ends with the vision of God in His glory: and it sets itself before all things to render to God His rights in every sphere of life” (358). – Romans 11:36-12:1-2. The heart opens to such words. Thank you.